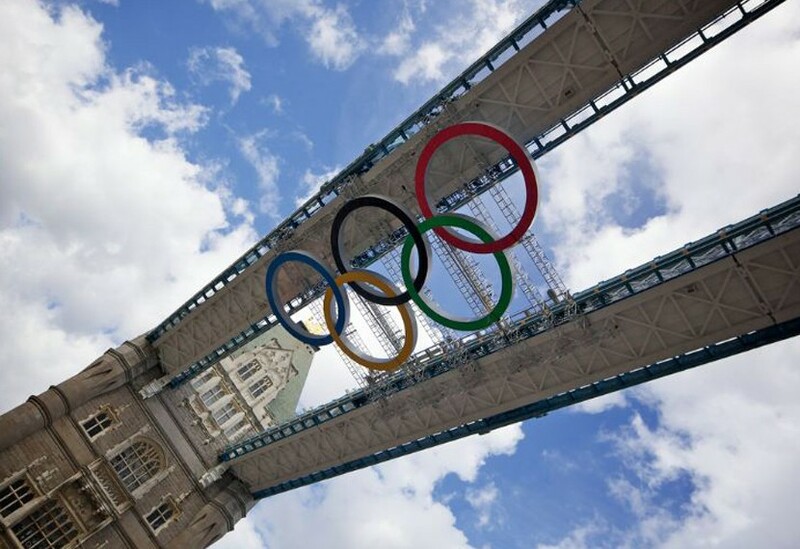 It’s a rare occasion that the bascules of Tower Bridge are fully opened to their 86º degree limit. 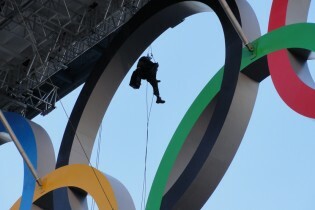 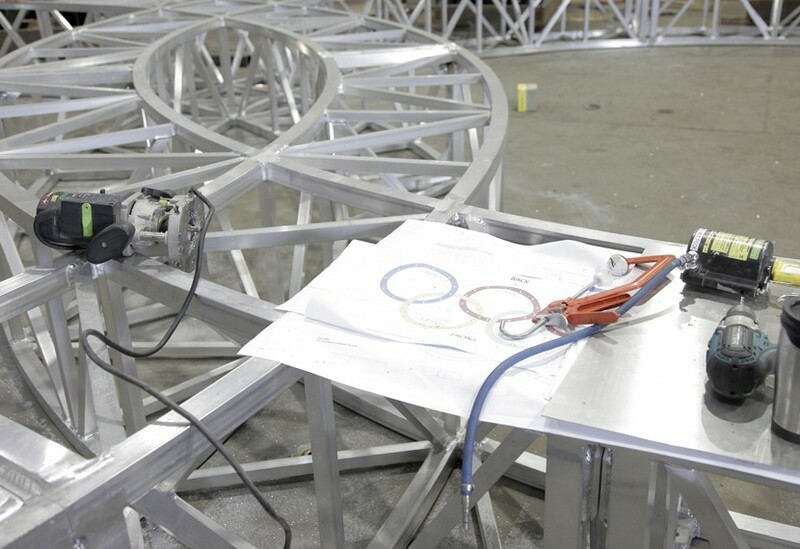 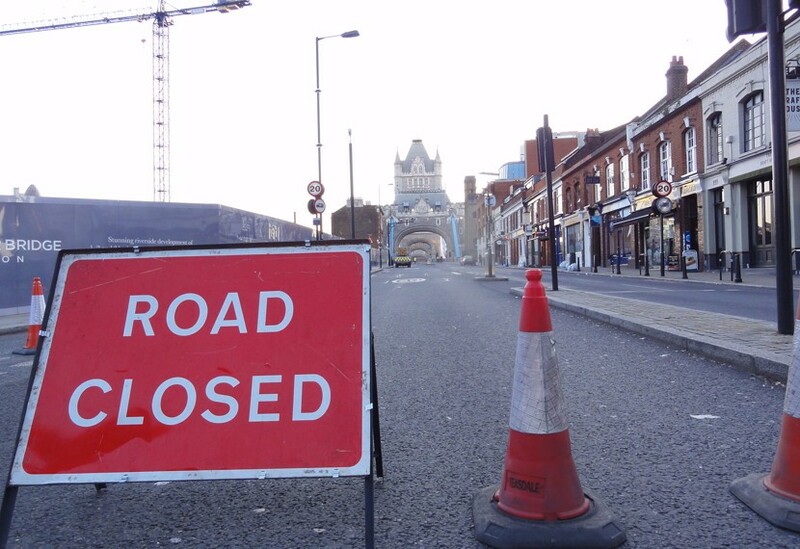 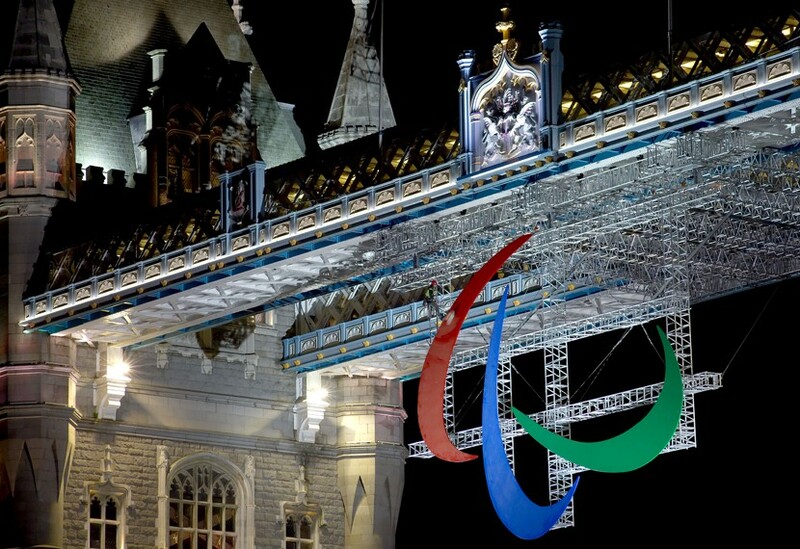 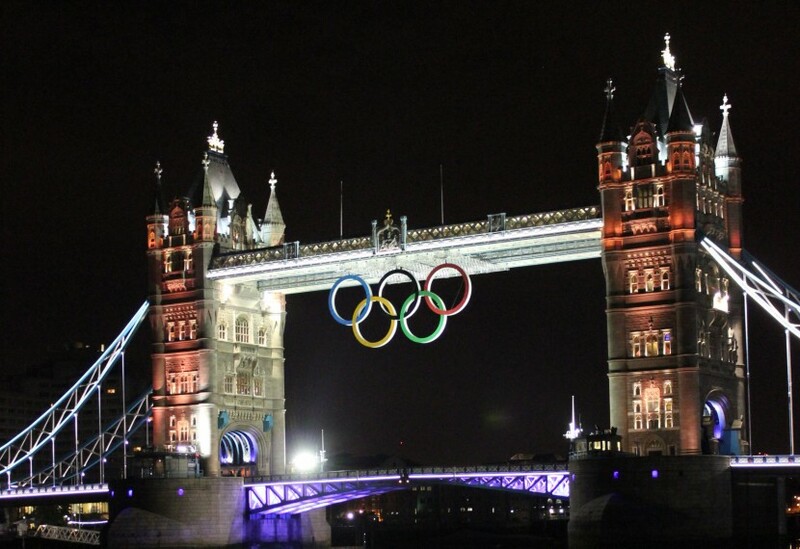 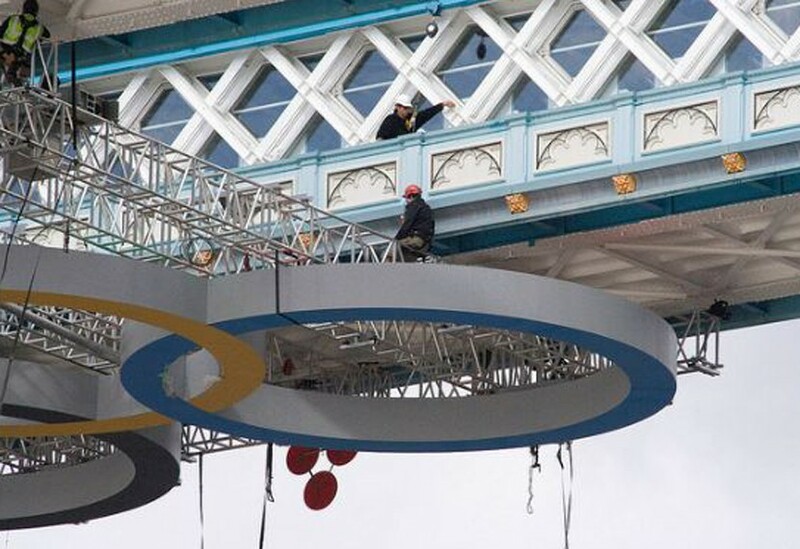 In order to suspend the 12 tonne truss grid with Olympic rings from the underside of the landmark’s top walkway, however, we required permission for a 12 hour bridge closure. 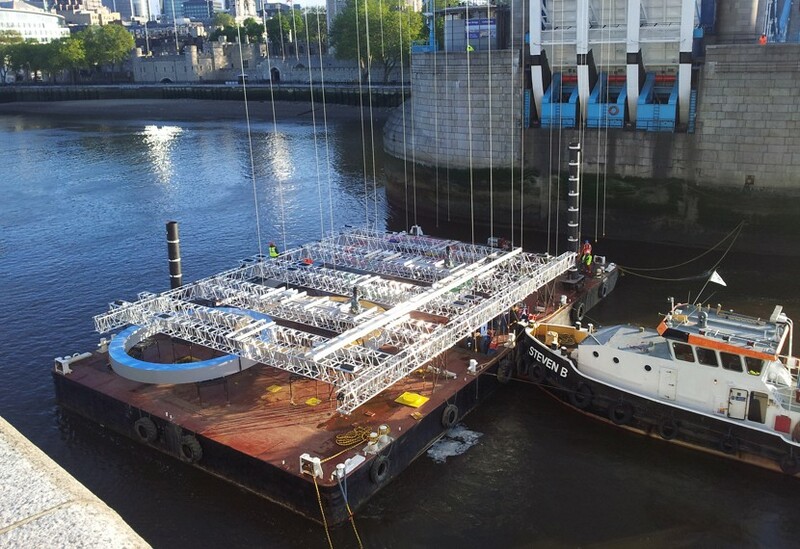 It was important that the bascules could be raised to coincide with a high tide. 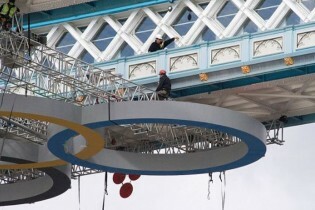 The rings and truss were assembled on a barge upstream and floated into position before being hoisted into place. 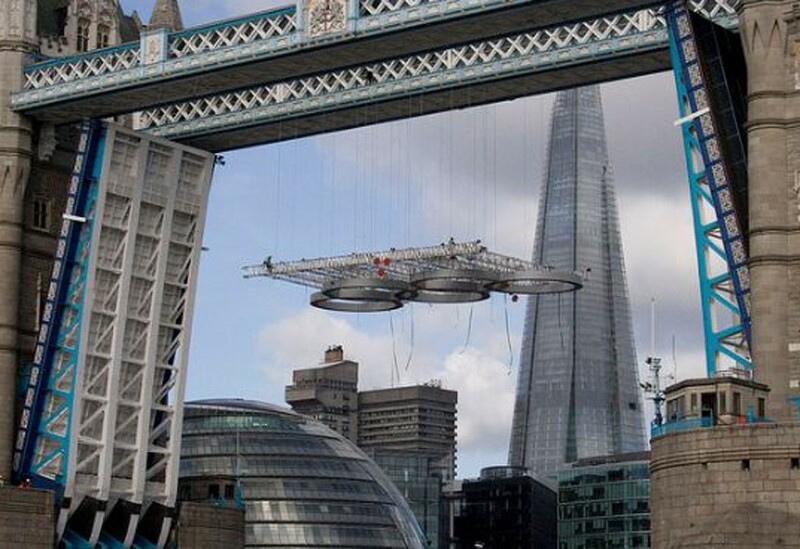 The whole unit was automated to lift from the vertical down position to the horizontal up position, allowing the bridge to open and the river traffic to pass through.